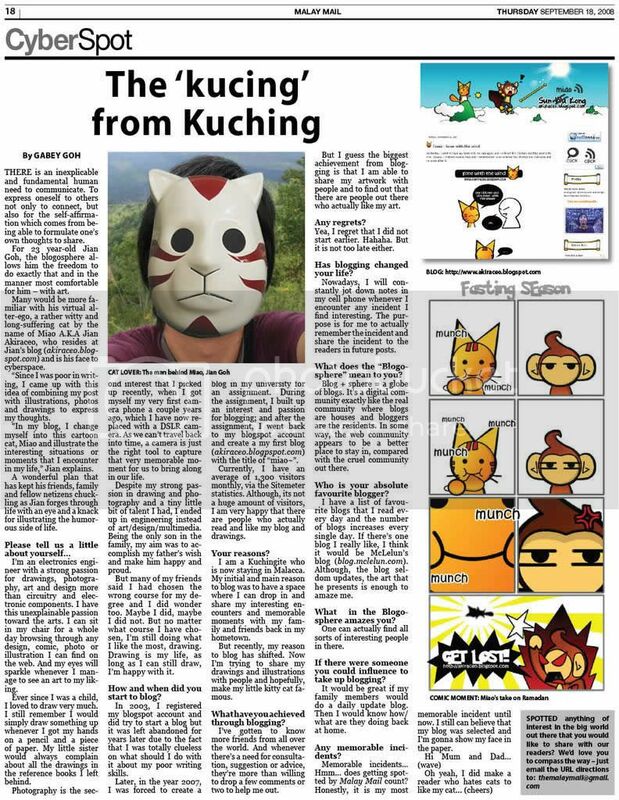 Posted on August 25, 2013 by Jian Akiraceo. This entry was posted in Room and tagged kids say the darndest thing, miao, wafu pafu. Bookmark the permalink. Uncle Miao is overdosely cute. Hahahaha your face at the end damn funn!!! Uncle Miao cute laaaaaa!!! I read this out loud 3 times hahahaha cuttteeee! So cute! Don’t Shy la! oh it’s convert from mandarin literally. 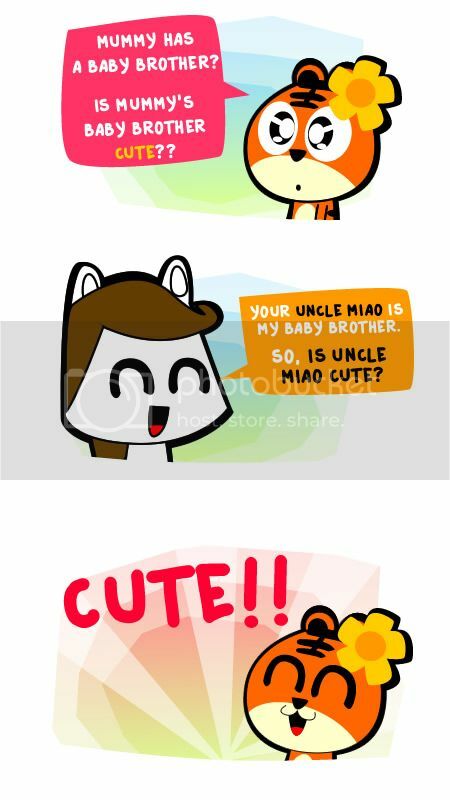 i think they meant.. Uncle Miao is cute but not Uncle Jian .. HAHAHAHAHA !!! Dat “Oh Stop it, you…” face! Fuiyoh HARGA SAHAM naik dgn MENDADAAAAK! P/s: I make annual donations to WWF. Which “group” are you creatively involved in? Tiger/Turtle/Hills/Sea or overalls? hahahah i’m not the one saying that. 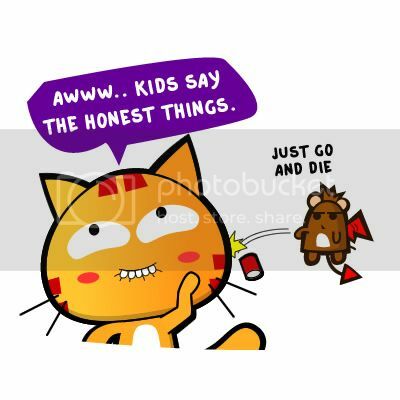 o.o.. ok, miao is cute.. hahahaha!! kimen rasa mena nya tok eh! baby brother? AHEM? how old are you this year edi har? ?